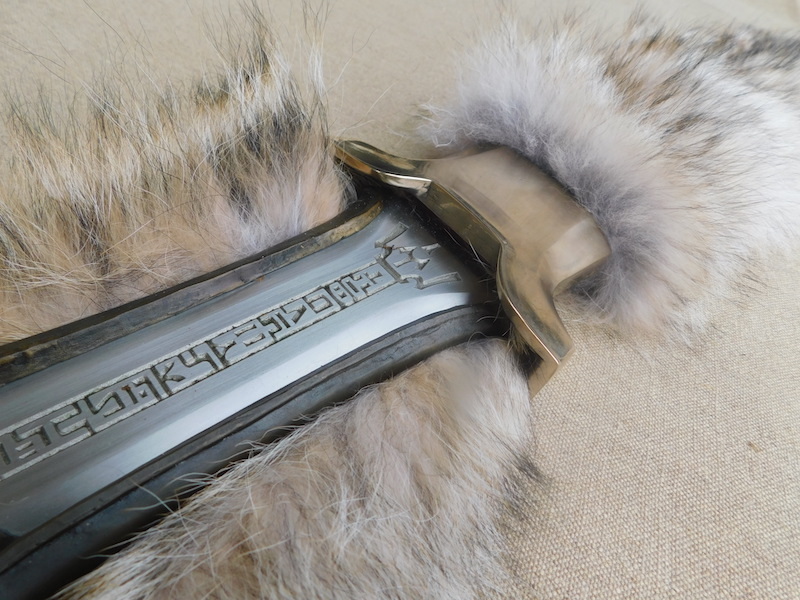 Earlier this year I was commissioned to make a super authentic scabbard for the Conan Atlantean sword by Albion. 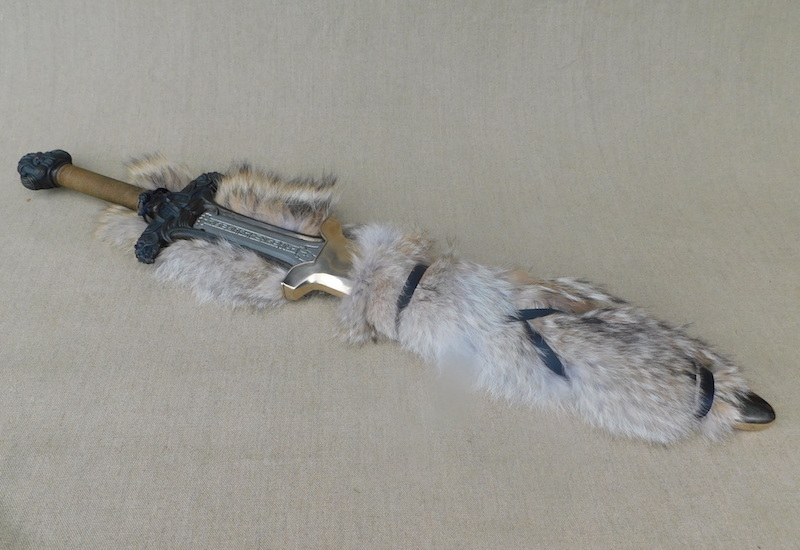 This is of course an absolutely iconic piece and so it needed all the details as far as we could get them. Images were in short supply except for stills from the film and these of course were blurry and indistinct. Fortunately the client did a great deal of digging and research and provided a file of pictures and sketches. 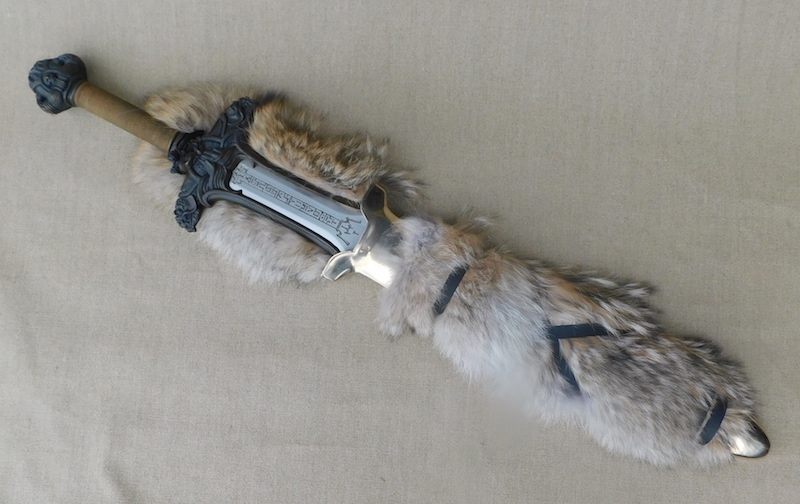 The scabbard of course had to have the massive bronze castings and so these were carved in wax and investment cast. 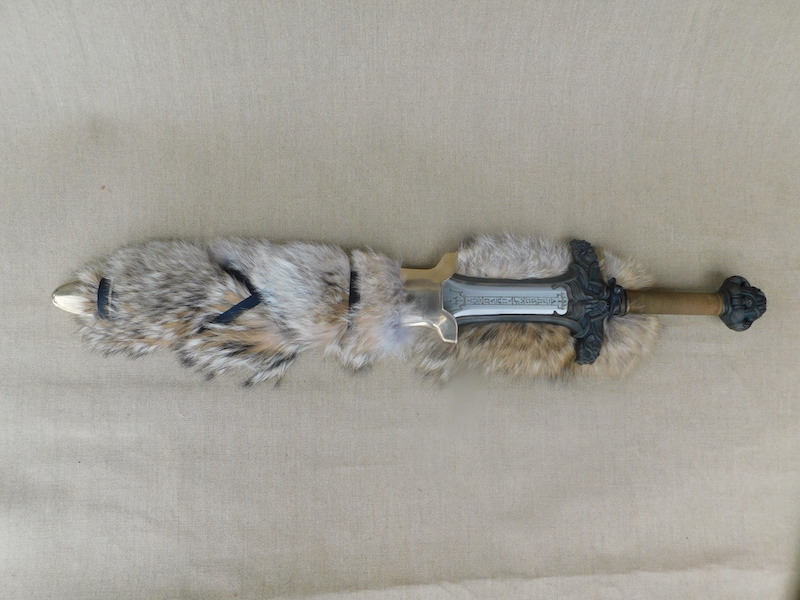 The sword itself weighs 8.5lbs (I think) and is hugely heavy, so I made the scabbard core in poplar as usual and then covered that in a layer of fibreglass to make sure it would be strong enough. 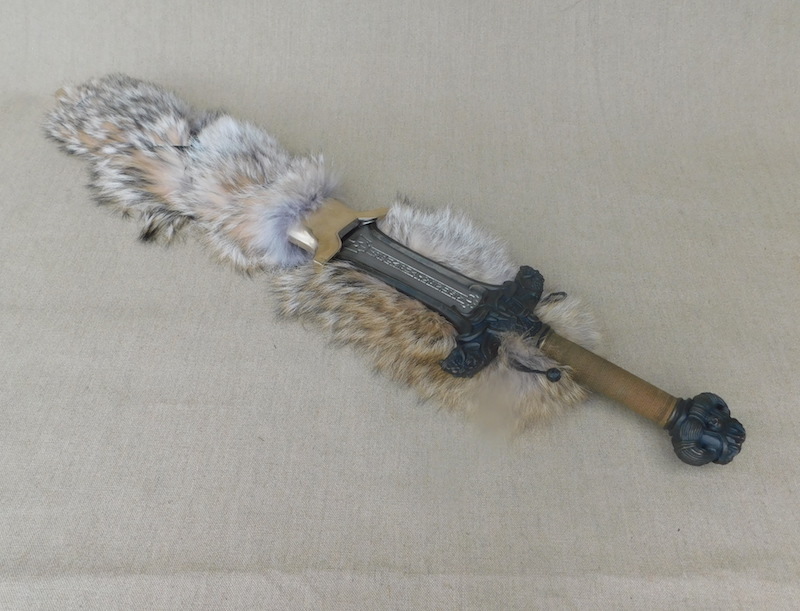 The top part of the scabbard is made of a leather strap attached to the core and the scabbard core and the top strap are covered in coyote fur of course. 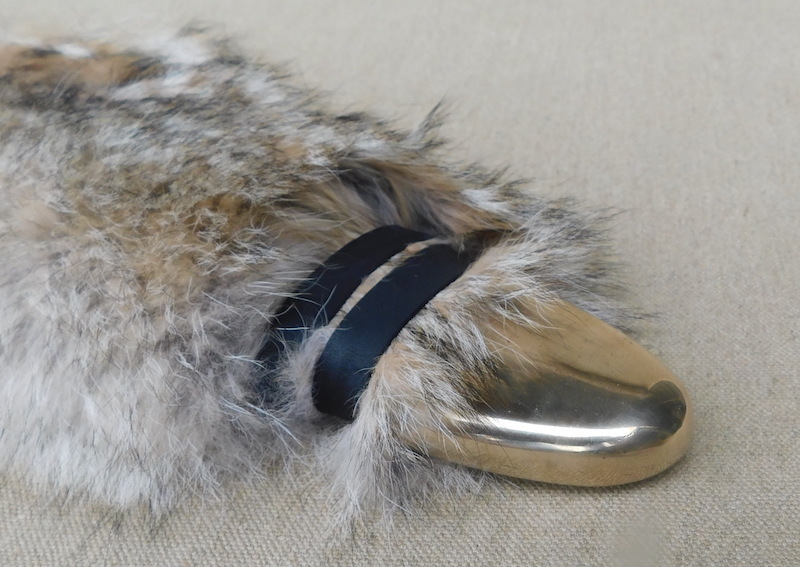 Over the fur is a think black leather cross strap. I hope you like it and if you have any questions or comments, please fire away. 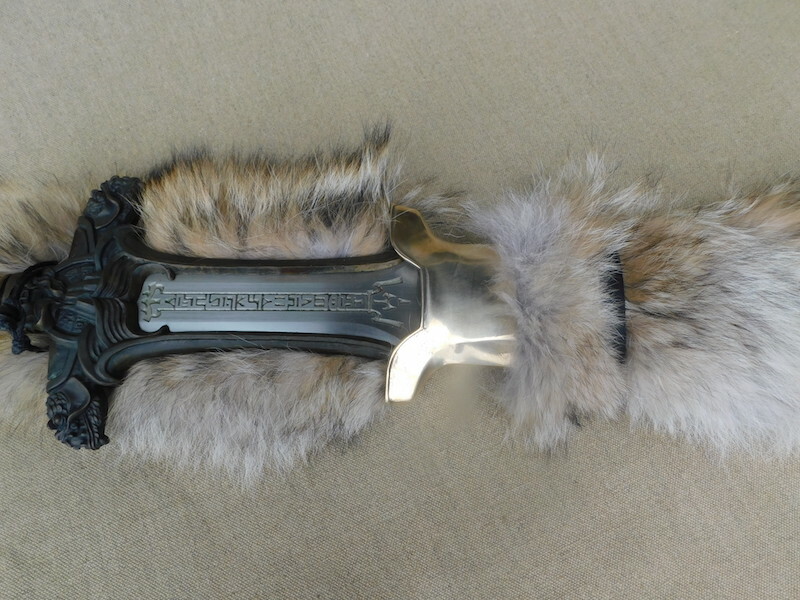 I also have a second set of the scabbard castings available for sale; pm me if interested. Crom! That fits the part perfectly! The real test is, can it be drawn from the back? That really looks the part! 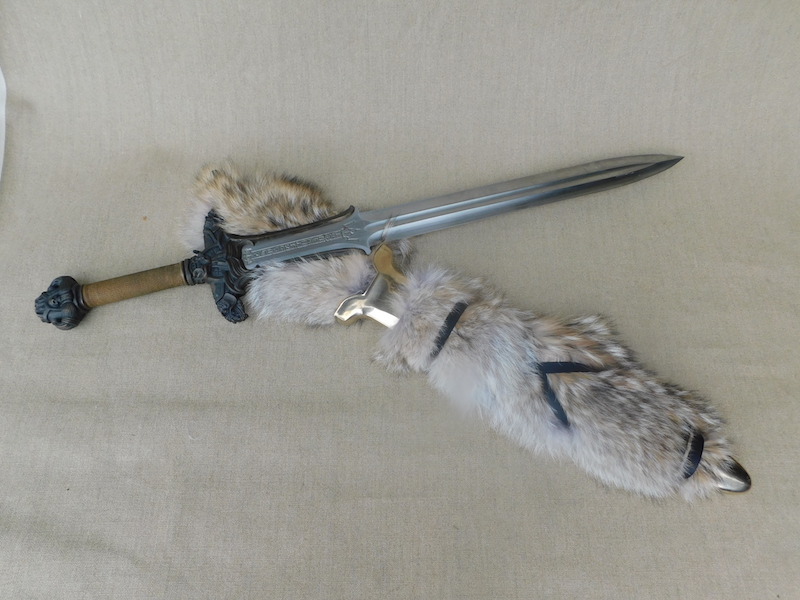 Great work to go along with a truly iconic sword. I had never noticed the bronze on the original. It looks great!